Home insurance for Florida home owners - Boca Raton. rates on Florida homeowners insurance policies. the best coverage at the lowest rate. 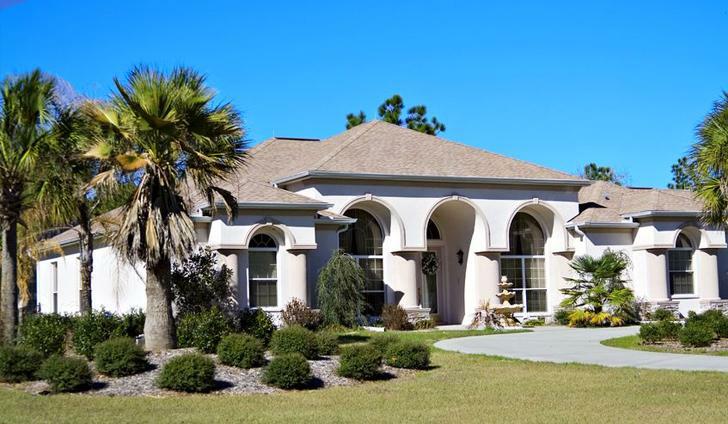 Blue Sky Insurance provides the best insurance protection for your Florida home. The typical Florida home insurance policy covers the house, the garage and other structures on the property, as well as personal possessions inside the house such as furniture, appliances and clothing, against a wide variety of perils including windstorms, fire and theft. The extent of the perils covered depends on the type of policy. An all-risk policy offers the broadest insurance coverage. This covers all perils except those specifically excluded in the policy. Florida homeowners insurance also covers additional living expenses. Known as Loss of Use, this provision in the policy reimburses the policyholder for the extra cost of living elsewhere while the house is being restored after a disaster. The liability portion of the policy covers the Boca Raton home owner for accidental injuries caused to third parties and/or their property, such as a guest slipping and falling down improperly maintained stairs. Florida flood insurance policies are offered separately as well as coverage for earthquake damage. • Materials used in your home CBS construction. Blue Sky Insurance agency of Boca Raton has experienced home insurance agents that will assess your current home, assets and priorities and will present you several Florida home owners insurance policies that meets all your criteria. For all of your personal insurance coverages, whether it be home, auto, RV, health or Florida commercial and business insurance, let us go to work for you by proposing a quality custom designed insurance plan from our best carriers with low rates that meet your budget. We specialize in providing Boca Raton Home Insurance policies and residents of South Florida with the right coverage to suit your specific needs as well as contents and luxury properties. Call us today at 561-907-8484 so we can offer you a free consultation and research to provide you the best insurance protection. Or use our online Florida home insurance quote calculator and get home owner policy prices quickly!